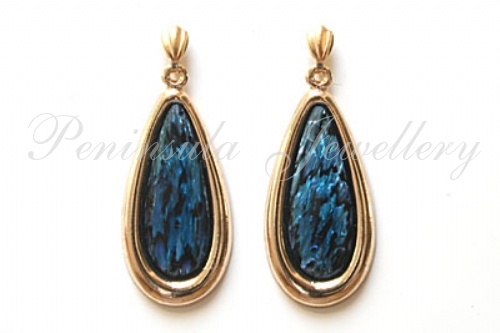 Classic teardrop earrings featuring 19x7mm Abalone in the centre, with 9ct gold fittings. Total dimensions: 30mm drop from post to bottom, 12mm wide at the widest point. Made in England. Presented in a luxury gift box – Great Gift! !